This is a historic time in the House. Americans at every income level deserve to keep more of the money they work so hard to earn. 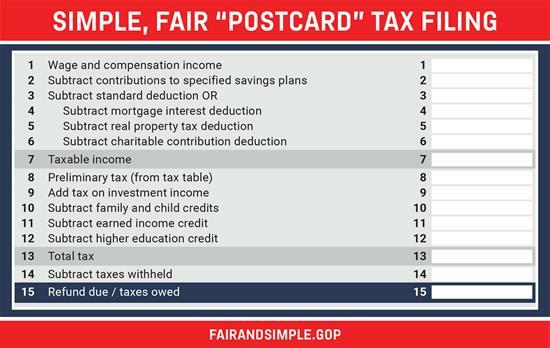 Imagine filing your taxes on a postcard. With the GOP tax plan, that could become a reality.